The Finnish authorities may require that documents issued in foreign languages be translated into Finnish or Swedish. The Ministry for Foreign Affairs and Finnish missions abroad do not offer translation services. 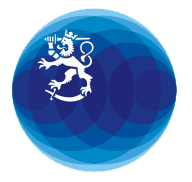 The Finnish National Agency for Education maintains a registry of authorised translators in Finland. Contact information for translators is available on The Finnish Association of Translators and Interpreters’ (SKTL) website. For more information about authorised translators in other countries, contact the authorities of the country in question. If a foreign document is translated abroad, the Finnish authorities may require you to have the translation legalised following the appropriate procedure.